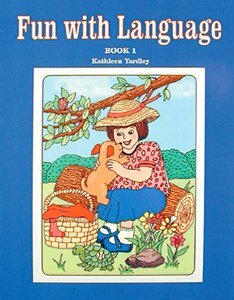 Fun with Language helps children ages 4 through 10 listen and express themselves effectively. More than 100 worksheets cover: Spatial Relationships; Opposites; Categorization; Following Directions; Temporal Concepts; Syntax/Morphology; Same/Different; Plurals; Memory; Reasoning Skills; Storytelling; & Describing. Reproducible pages. Speech therapy for children-- exercises.